Normally I find a lot of Tumblrs really boring, but sometimes there are some real gems in the rough. 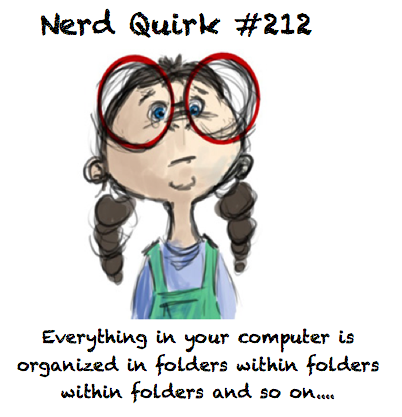 Nerd Quirks is a tumblr dedicated to all those special personality traits unique to nerdy girls - and hell yea I was a nerdy girl back in my day! I literally spent half an hour reading back through the archives of this tumblr and they were all SO TRUE. The comment box disappeared!!! So i hope Sheila doesn't mind that i'm commenting on her comment. Haha! anyway - YES to the first and last one! 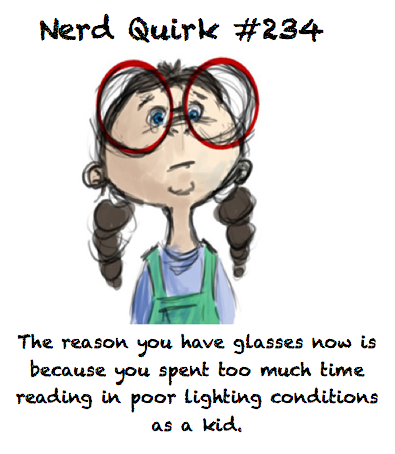 I started wearing glasses since I was 6 years old all due to reading in poor lighting and reading on the train! Wha? That's weird, I can see it.. the comment box I mean! In case you didn't know already, I love these. =) I didn't start wearing glasses (for distance) until after I became a dad, but my daughter has had them since she was 4. 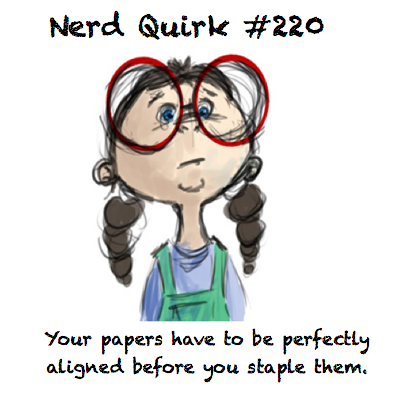 Plus, I really hate it when someone hands me a set of stapled papers and they don't align. It's just so...sloppy! Hahahaha um...yes. 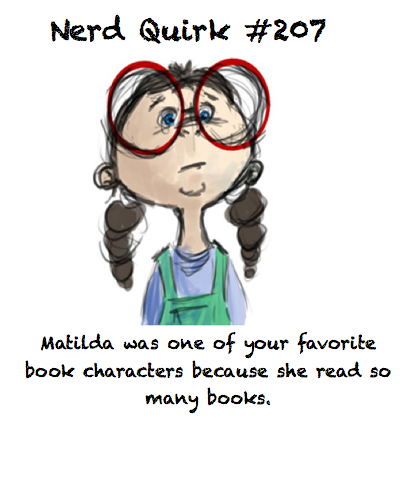 I was the BIGGEST dork as a child (still am) and this strikes a chord. 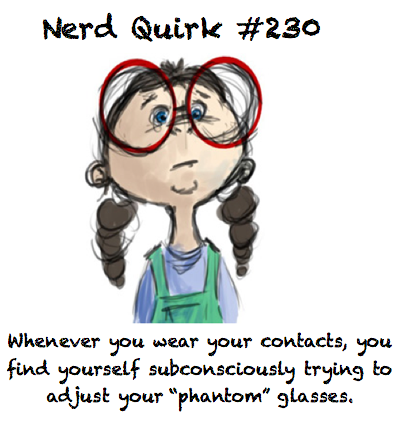 Only thing is I've always hated how glasses look on me so though I'm literally near blind, I only wear contacts. These are so adorable! and so true, like you said! haha good find, very cute!